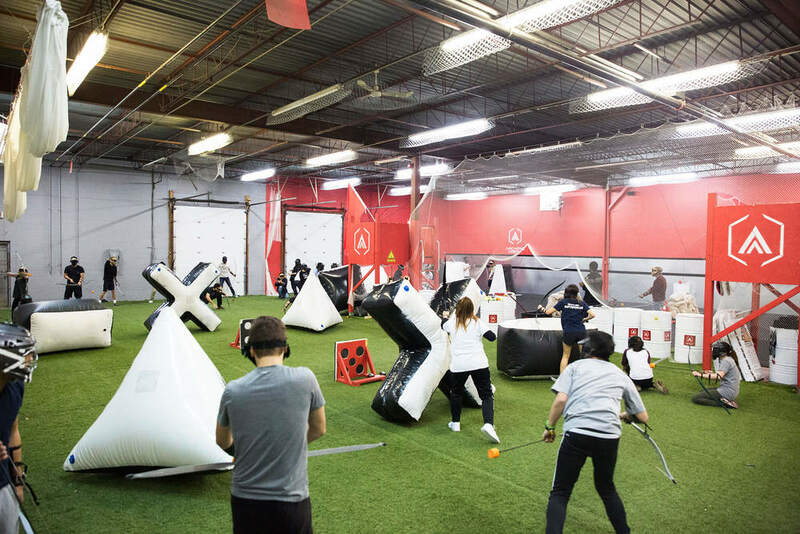 We are the #1 Rated Combat Archery Arena in the GTA with 10,000 square ft. Fun passionate and knowledgeable coaching team, 2 distinct playing fields for different play styles with obstacles ranging from oil drums, inflatables bunkers, sandbag bunkers, and sniper towers. Archers Arena can accommodate larger groups ranging from 8 to 16 to even 50 people playing at a time! Spacious lounge areas, lockers, change rooms, including a Party Room for your group. Location is TTC accessible, minutes away from Downsview station. If driving, FREE parking is available in the plaza. 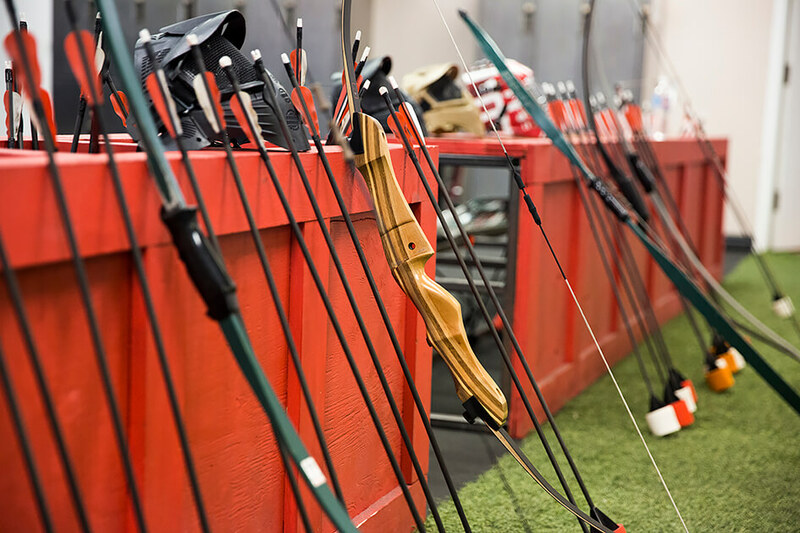 Customers can expect to be taught beginner level archery skills and get a taste of real life combative archery. Customer will leave sweating, excited and definitely be addicted to this ancient sport re-invented. You will unquestionably come back for more! 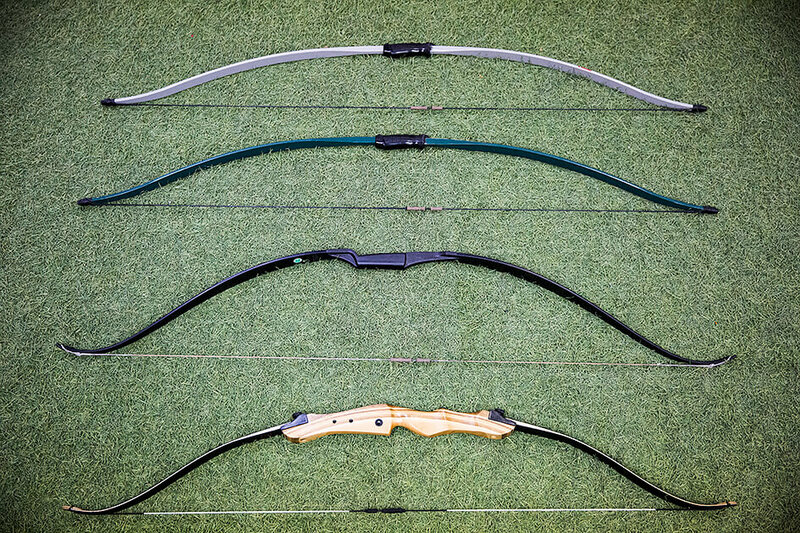 Archers Arena strives to bring the raw intensity of the fight back into traditional Archery through Combat Archery. It is a brand new sport where archers get to safely experience how archery was first used - for WAR! 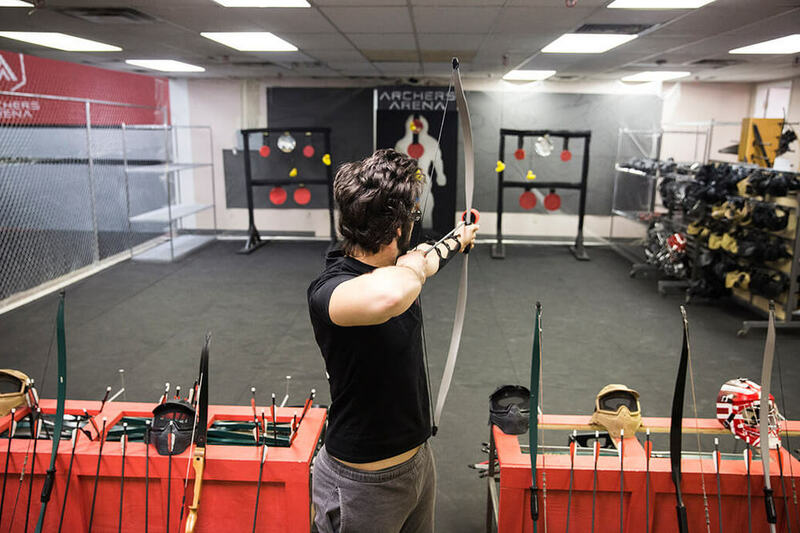 Archers Arena originally started as an ARCHERY TAG facility, but at Archers Arena we wanted to take this sport back to its roots. By doing so, we have elevated the game to a brand new level that you cannot experience anywhere else. It is no longer a game of ARCHERY TAG - it is now full out COMBAT ARCHERY with bows and arrows! It is not a job, but rather a chance to inspire a new generation of archers. We believe in creating a place where people can meet, challenge themselves, experience real life combative archery, and bond over an impossible arrow hit - or that one time someone dodged 3 arrows at a time, or that other time someone caught 2 arrows out of the air. Our “job” is all-encompassing - to inspire, to teach, and to share in the glory of the game. Archery is an awesome sport because it involves intense focus, strength, and endurance. Now imagine all of that plus running around and trying to dodge other people's arrows. 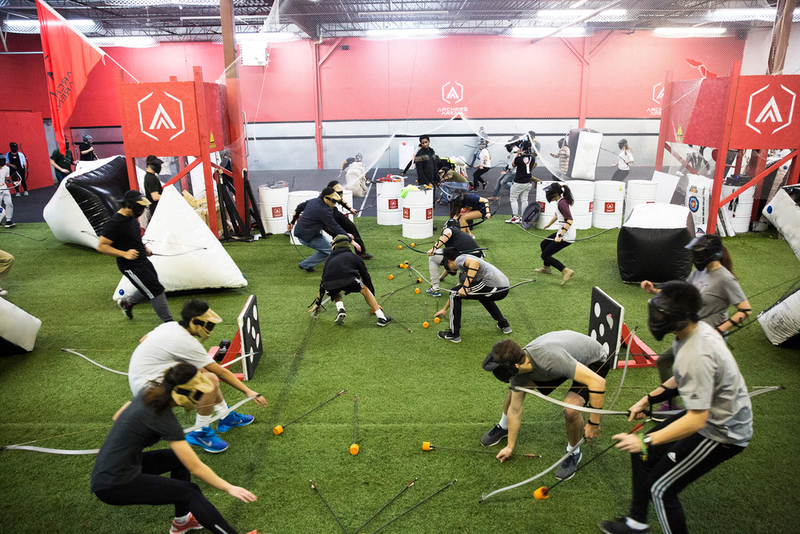 Combat Archery is like regular archery mixed with dodgeball. You need to dip, juke, jive, run and hide, all the while trying to aim, pull and shoot at the other team. You work up a good sweat, have a lot of fun, and get to experience teamwork, strategy, and intense competition all in one go. No wonder it has become one of the world's hottest sport. 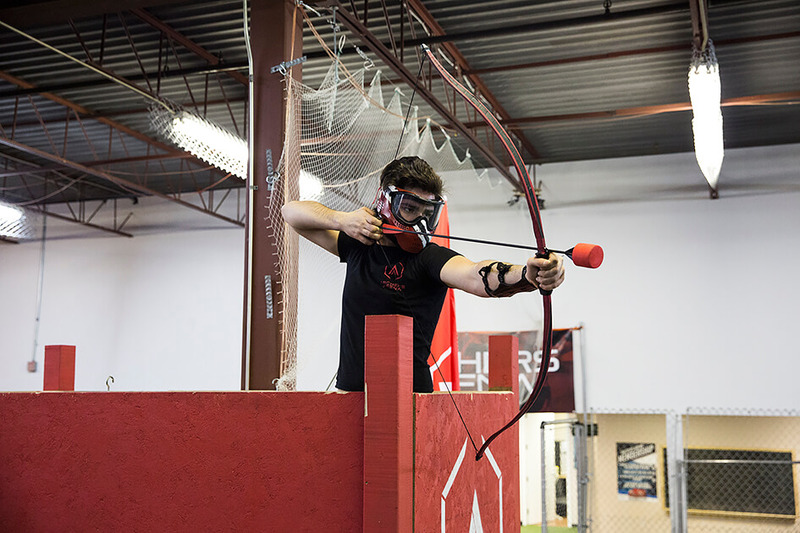 We are Toronto's largest indoor Combat Archery Arena and we promise you an amazing experience. Although we have a ton of different varieties to choose from, it basically comes down to you and a team of friends vs another team in a battle for supremacy. We give you bows that shoot foam-tipped arrows. This means that the pain factor is going to be minimal except for the soreness in your body after this intense workout. 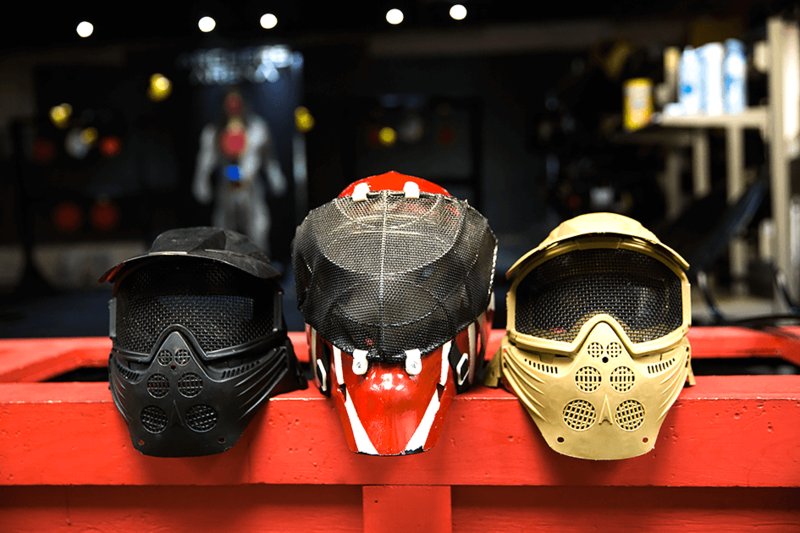 Our face protection and arm guards ensure that you leave in one piece. Our-state-of-the-art arena is conveniently located in the heart of the Greater Toronto Area. Our 10,000 sq. foot facility sports two separate fields for competition so that you can either play standard 10 vs 10 or combine them together to accommodate groups of up to 50. On top of that, we offer a shooting range for target practice, a lounge, and a snack bar for when you work up an appetite. We offer various game modes to test your skills against each other. You can play variations that will get your heart pumping like capture the flag, siege, elimination, and vampire. Think you have what it takes to dominate? 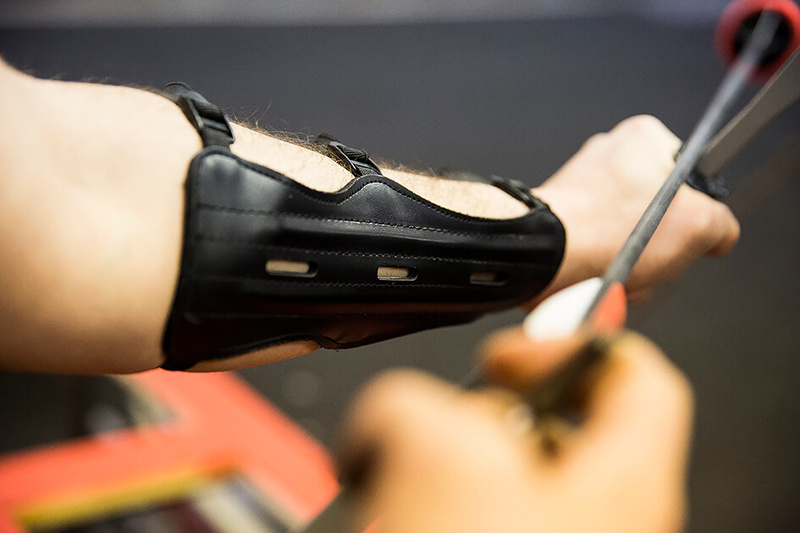 All archers will be provided with a 22-29 lbs Recurve or Longbow, protective Airsoft mesh frame mask that prevents fogging and a protective arm guard that prevents bruising. All our equipment have been safely tested, cleaned and disinfected after every use so you will never feel someone else's sweat on your face. We have 2 full competition courts where we can have 10 vs 10 matches on both sides. The 2 courts can then be combined to accomodate larger groups of up to 50 people to have up to 25 vs 25 showdowns. Come experience our unique game modes, take down enemies from the sniper nest and chillout in our lounge.